In addition to donating proceeds from his book sales to charity, Marc Abrahms has supported numerous philanthropic organizations over his lifetime. 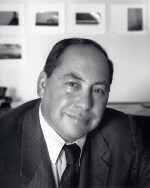 He spent over forty years serving on the executive committee and the board of the Hebrew Home and Hospital of West Hartford, Connecticut. When he was thirty-six, he became the youngest person ever to serve as Chairman of the Board at the institution. Mr. Abrahms is also a life director of The Jewish Federation of Greater Hartford and has given his time as a board member to numerous other nonprofits in the Hartford area. As a businessman, Marc Abrahms has led a long career as an employee benefits expert. He owned and served as president at both Abrahms Group Benefits and Abrahms Life Services, Inc., which together comprised the biggest employee benefit firm in private hands until their purchase in 2001. Over the course of his career, photographer Marc Abrahms has taken photos all around the world. In the summer of 2009, his travels took him to Kenya, where he snapped photos of lions, wildebeests, leopards, zebras, and other wildlife on the savannah. Earlier in the same year, Marc Abrahms visited Belgium to capture photographs of unique architecture under different types of lighting. Mr. Abrahms’ pictures have appeared in two collections: Traveling Light and Water Colors, which were published to benefit the Juvenile Diabetes Foundation and United Cerebral Palsy of New York, respectively. He spent more than a decade on high-level committees and was the youngest person ever named a trustee of the school. Join Today to follow and contact Marc Abrahms.